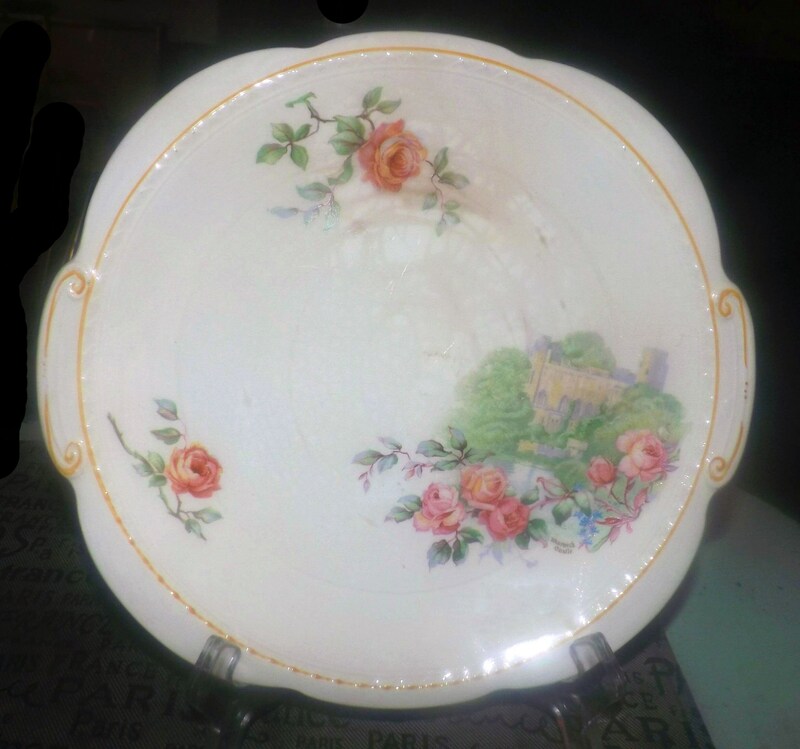 Early mid-century (1940s) Swinnertons Warwick Castle lugged hand-decorated cake, cookie, pastry serving plate. Majestic Vellum ironstone. 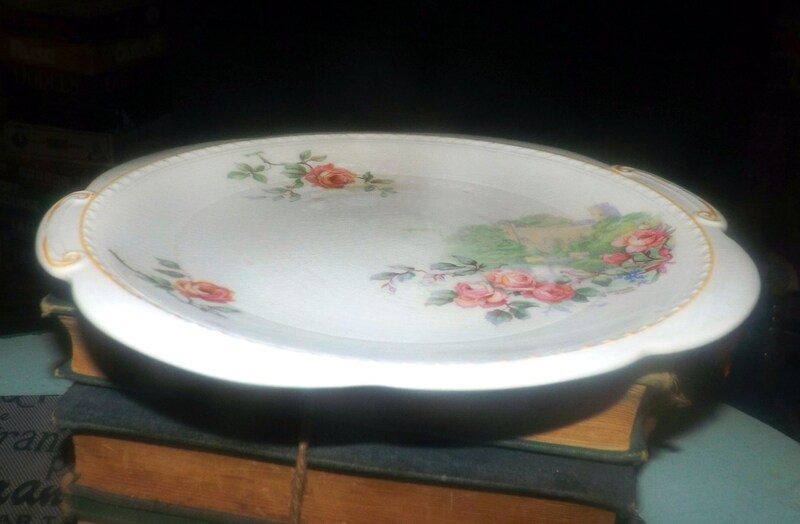 Early mid-century (1940s) Swinnertons Warwick Castle lugged hand-decorated cookie, cake, or pastry serving plate. 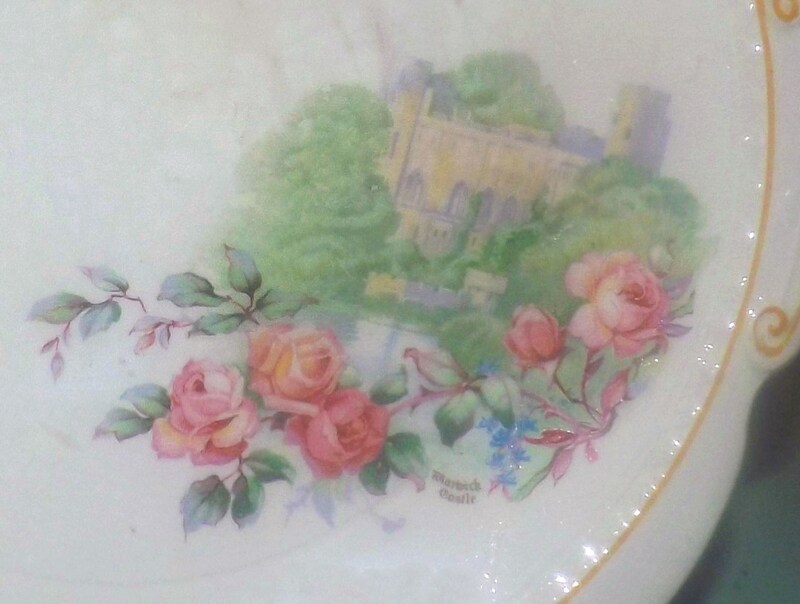 Part of Swinnerton's Majestic Vellum line, this plate features Warwick Castle in the bottom-right corner, surrounded by pink and coral roses. 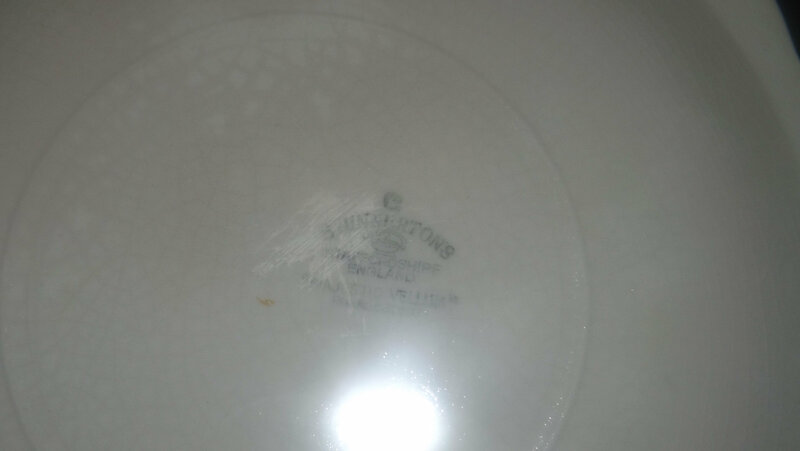 Plate has a yellow edge and embossed handles. 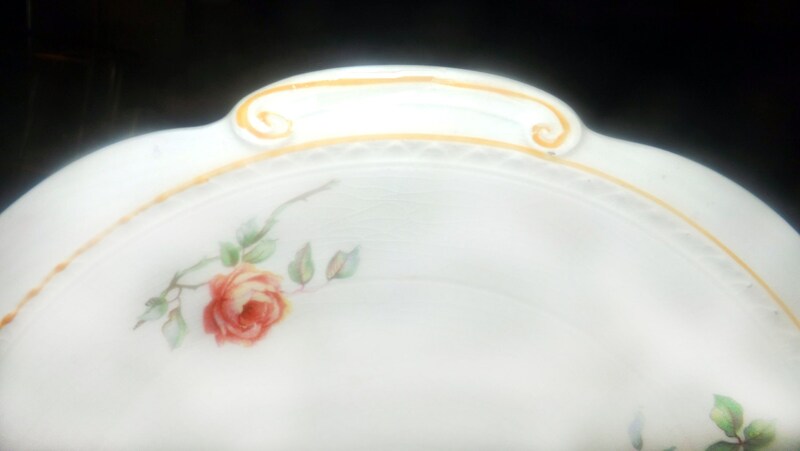 Decorator's brush mark in yellow to reverse of plate. In GOOD! 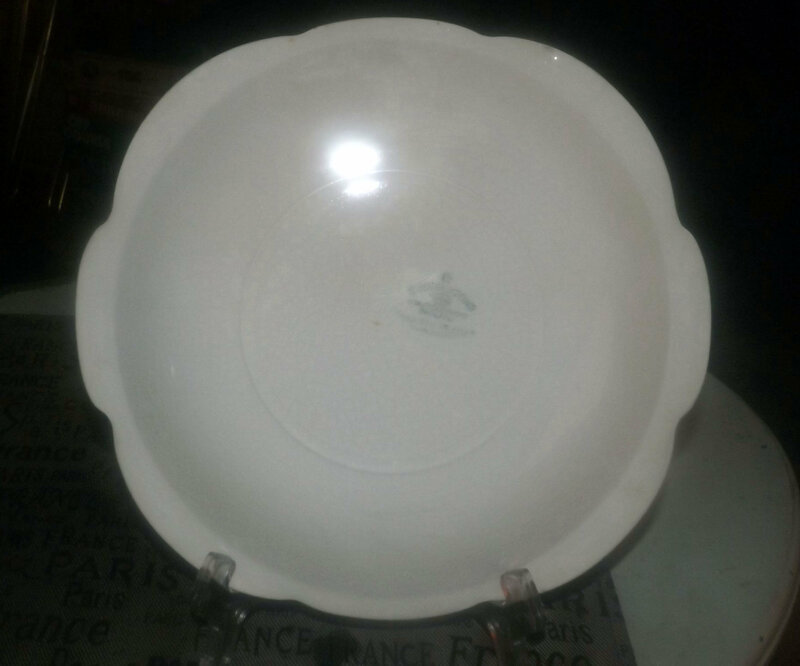 vintage condition, the plate has a fleabite to the REVERSE - almost imperceptible unless running a finger over the underside - but it is there. There is SIGNIFICANT! 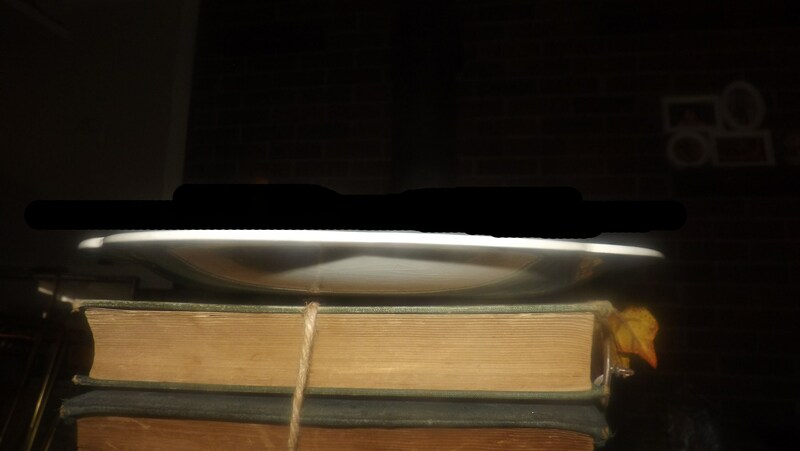 crazing to the plate and several utensil marks with resultant browning through them to the surface of the plate front and back. The Castle and floral imagery is bright and vivid with MINIMAL! fading or wear apparent. (please review each of the posted photos for a complete visual of the item). Approximate measurements: 10" in diameter (from measured handle to handle) with handles.